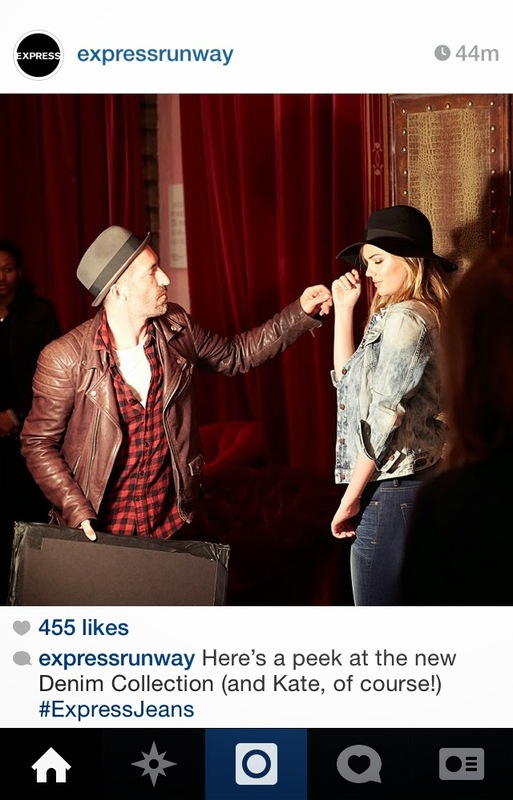 Looking gorgeous representing the new collection of Express jeans? Kate Upton. A brand ambassador match made in heaven, Kate is adorable in this video. While all new brand ambassadors talk about how they have always loved the brand, I totally see a pre-fame Kate Upton regularly shopping Express. Follow @expressrunway on Instagram for some behind-the-scenes shots of Kate (below), and RSVP here for tomorrow evening's Express and Vogue event, "A Date with Denim and Kate with Kate." Don't forget, 34th Street shoppers: we've got two Express stores in the 34th Street District. So if you can't make tomorrow night's Times Square event, look for Express's new denim collection in one of the 34th Street stores.